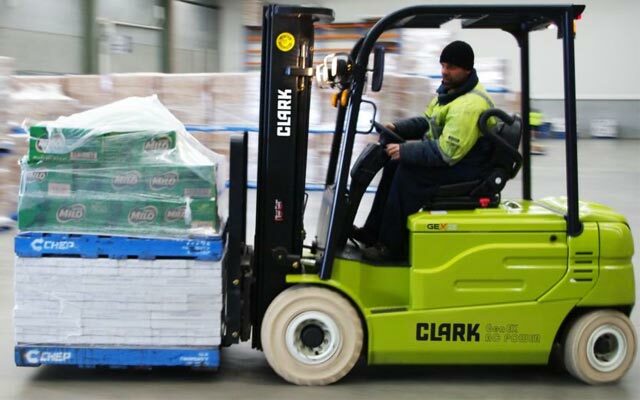 Clark is a global manufacturer of forklift trucks, with a 90-year tradition of quality that is ‘Built to Last’. In 1917 Clark invented the world’s first forklift truck, and has since gone on to manufacture over 1 million units across the globe, with over 350,000 Clark forklifts operating today. Clark has always been one of the forklift industries most progressive and responsive manufacturers, continuously seeking innovative ways to improve product, expand service, and provide outstanding value to its customers, while maintaining its “Built to Last” tradition. Clark has one of the largest support networks in the materials handling industry, with over 350 dealers and over 550 locations around the world at your service to make sure you get the most from your Clark Forklift. Clark is a global business, with R&D and manufacturing locations in the USA, Europe, Australia and Asia, all dedicated to producing the hardest-working and best-value forklift trucks that are “Built to Last”, with the dedicated know-how that can only come from the manufacture and support of 1 million forklifts over a 90-year history. The industry in South-East Asia is managed by Clark International South Pacific, operating from its Head Office in Sydney, Australia, and its regional office in Singapore. Looking for Clark Forklift parts? Clark has parts available from locations in Sydney, Melbourne, Brisbane, Perth, Auckland and other metropolitan and regional centres across Australia and New Zealand. Clark parts are also available from Clark dealers throughout Asia-Pacific. Click here to find a dealer. Clark invented the world’s first forklift in 1917, and has since manufactured over 1 million units across the globe. Clark utilizes its decades of experience, outstanding delivery, and competitive pricing to make the maintenance of your forklift as cost-effective and painless as possible. Whether you operate a Clark, Toyota, Hyster, Nissan, or any other brand forklift, a Clark service team is the best answer for any forklift parts and service requirement.